Seven thrones are derived from the periodic text, which invoke our response of worship to our only true God in the book of Revelation. This is the first of seveb thrones presented in Revelation 4. 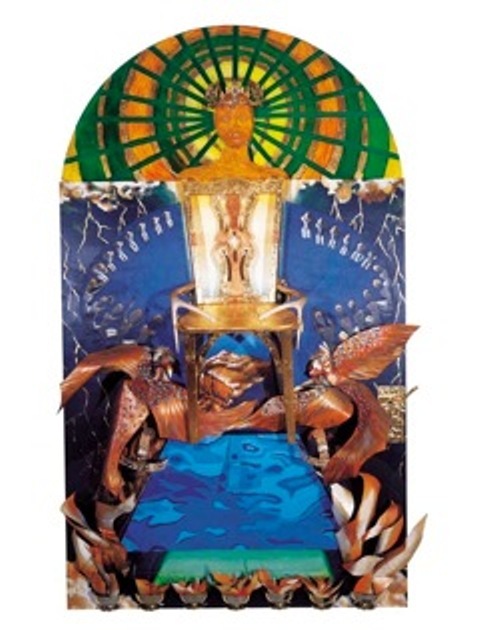 This is also the first throne presented in Devi's art ebook Seven Sevens: The Seven Thrones, which possesses all 7 Thrones presented in the book of Revelation along with scripture references and her personal ideas behind each art piece to augment your imagination for a deeper meaning to what you are seeing.